Stirling III EH952 ditched in the North Sea 24/8 1943. T/O 12:47 24/8 Witchford. OP: Air Sea Rescue. Four Stirlings from 196 Sqn were detailed for a ASR operation searching for ditched aircrafts from a raid on Berlin. Stirling EH952 ZO-A which was carrying a Lindholme Gear* and Stirling EF469 ZO-B would search the area 5456N-0425E-5456N-0530E-5564N-0530E-5504N-0425E while ZO-X and ZO-Z would search the area within 5504N-0425E-5504N-0530E-5512N-0530E-6512N-0425E. After having crossed the North Sea and having entered the search area "A" sighted some fishing smacks which the two Stirlings investigated. "B" then saw another boat some distance away and went to investigate. 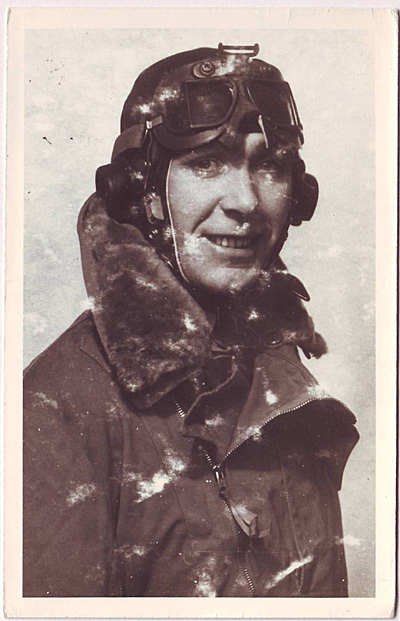 While "B" was away Pilot Sgt P.W. Brett was forced to ditch EH952 approx. 65 nautical miles (approx. 117 kilometers) south west of Barren (Barren is the location where a German Vorpostboot guarded the entrance to Esbjerg harbor) due to the loss of the two starboard engines at approx. 17:15 hrs. The tail struck first and broke away leaving a gaping whole where the tail plane had been. As the front end dipped into the sea, the crew clambered up to the opening, which was a two step forward, one step backwards exercise as the oil and the hydraulic fluid made it a difficult uphill climb. The whole crew got out and eventually entered the aircrafts dinghy which had been released automatically. After having floated around for a period of time they spotted a fishing boat heading towards them. It was E 403 “Conni” of Esbjerg. 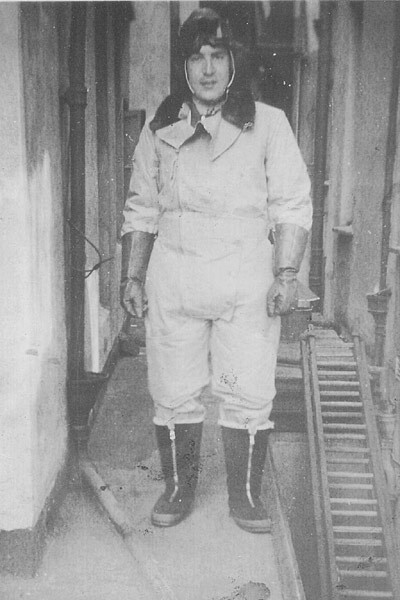 Skipper Hans Kromack Christensen had seen the aircraft ditch and had set course for the dinghy. The crew was taken onboard and given what dry clothes could be found and the dinghy was taken in tow. The fishing boat had been at sea for six days but now wanted to return to the fishing ground to finish fishing before they set course for Esbjerg. The Englishmen wanted the fishing boat to take them to Sweden but due to lack of fuel that was not a possibility. On the next morning when E 403 “Conny” had set course for Esbjerg a German Ju 88 flew over the fishing boat and when “Conni” met with the most westerly German Vorpostboot by Skallingen, the Germans set a guard of two marines onboard the fishing boat, and ordered it to sail direct to the traffic harbour. Here they arrived at 18:30 hours. Under German guard the airmen were taken to Küstenüberwachungsstelle and handed over to Kapitän Bösch. They were placed under guard in a nearby schoolhouse. When interrogated by the Danish police, Skipper Christensen told them that he had sighted the aircraft ditch at 07:00 hours on the same morning, thus hiding that he had actually picked the crew up the day before but had continued fishing afterwards. The crew were: Pilot Sgt Percy William Brett, Navigator Sgt Eric Walter John Kerr, Air Bomber Sgt Douglas Henry Canning, W/Op-Air Gnr. 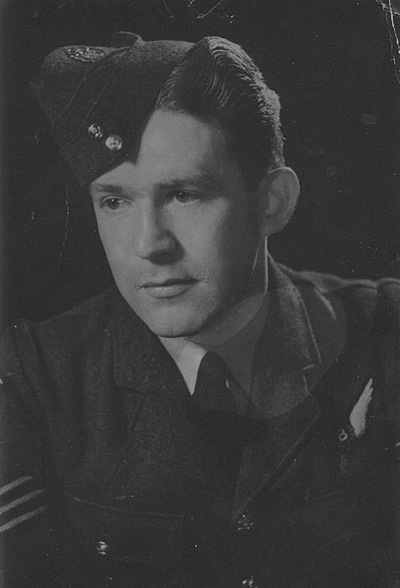 Sgt Louis Henry Huggins, Flt. Engr. 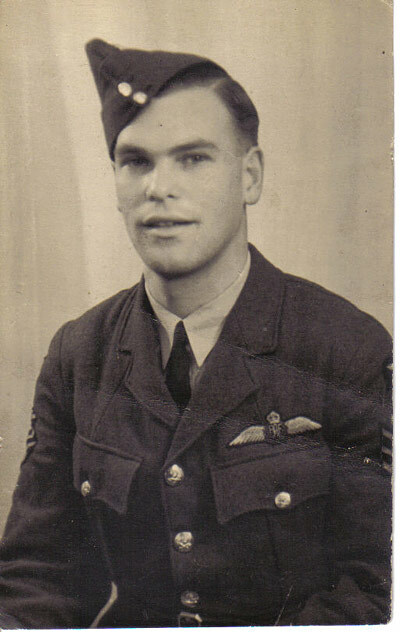 Sgt Raymond Albert Treadwell, Air Gnr. Sgt D.F. Moore and Air Gnr. Sgt Edward Lawton. From Esbjerg they were placed in a railway freight wagon and sent via Hamburg to Dulag Luft at Oberursel near Frankfurt for interrogation. They arrived in Oberursel and stayed for a bit more than a week. They were then sent to Stalag IVB Mühlberg a.d.Elbe where they stayed until the end of war. They were released on 23/4 1945. When Stirling "B" returned to base at 18:24 hrs it reported that "A" had last been sighted at 5458N 0525E which is approx. 97 nautical miles (180 kilometers) south west of Esbjerg. * Lindholme gear (Also known as Air Sea rescue Apparatus Mk 4) was a British air-dropped rescue equipment designed during the Second World War to aid survivors in the water and was still used in the twenty-first century. The Lindholme Gear was developed at RAF Lindholme during the 1940s to provide a simpler rescue system than the air-dropped life boats then in use. The Lindholme Gear is a five cylinder-shaped containers joined together by lengths of floating rope. The centre container would house a nine-man inflatable dinghy with the other containers housing survival such as emergency rations and clothing. The Gear would be carried in the weapons bay of the aircraft and dropped in a long line up-wind of the survivors. The dinghy would inflate on impact and then drift towards the survivors. The survivors can then use the dinghy and haul in the containers of equipment and await rescue. Sources: UA, Report Esbjerg Police, AS 64-855, AIR 27/1166, OLCB, Trevor Huggins, Douglas H. Canning via Andy Canning, Info from Kew incl. ORB Waterbeach AIR 14/2410 via Andy Canning.